Located in South East Asia, Malaysia shares borders with Thailand, Indonesia and Brunei. It is also linked to Singapore by a causeway and a bridge. West Malaysia, also known as Peninsular Malaysia hosts most of the country’s population and the capital city of Kuala Lampur. 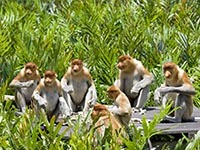 East Malaysia comprises one third of the island of Borneo, rich in wilderness and wildlife. A major part of Malaysia is covered in rainforest and the country houses diverse flora and fauna. Along with the world’s tallest tropical tree species, tualang, Peninsular Malaysia alone has over 8000 species of plants. 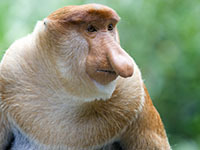 Borneo is in a league of its own, it hosts the biggest known flower species, rafflesia, the biggest cockroach species in the world, and the biggest land mammal, the elephant. Nature enthusiasts will be spoiled for choice between Gunung Mulu National Park (home to the world’s largest chamber, the Sarawak chamber), Bako National Park (spot the rare proboscis monkey here), Taman Negara National Park (famed for birding), Niah Caves National Park (fascinating caves featuring rock paintings dating back to over 40,000 years ago) and Pulau Kalampunian Damit (famous for its snake island). 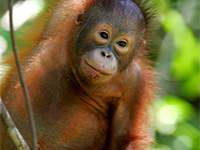 Also not to be missed is the Sepilok Orangutan Rehabilitation Centre (SORC), one of only four orangutan sanctuaries in the world. If you’re in the mood for trekking across jungle trails and viewing gushing waterfalls, head to the Cameron Highlands or Kelabit Highlands. The official religion of Malaysia is Islam but you will find that the population is a mix of Muslims, Hindus, Christians, Buddhists and many other religions contributing to the unique culture of the nation. The capital city of Kuala Lampur is a heady cultural blend of modern and traditional values. Explore the aromas of quaint Chinese markets, experience peace at the many temples and mosques or indulge in retail therapy at one of KL’s world-class malls. Head to the boroughs of Georgetown for old-world charm, narrow streets, colonial architecture and beautiful beaches.